This level has medium difficulty and you need to use good strategy to complete this level. For this level you should try to play from bottom and break blocker as you get the chance. 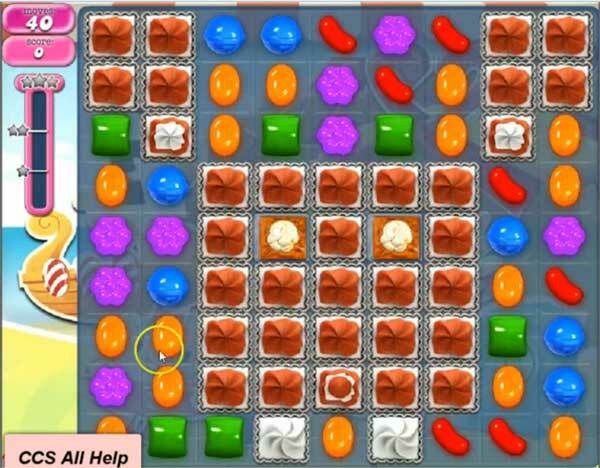 As you have more candies to play then try to make colorbomb by combining five same color candies and match with striped candy to break more blockers and jellies. After play near to remaining jelly to break them or use special combo trick to complete this level. Difficult level getting tired of the ne. Por quê não posso mais entrar ?